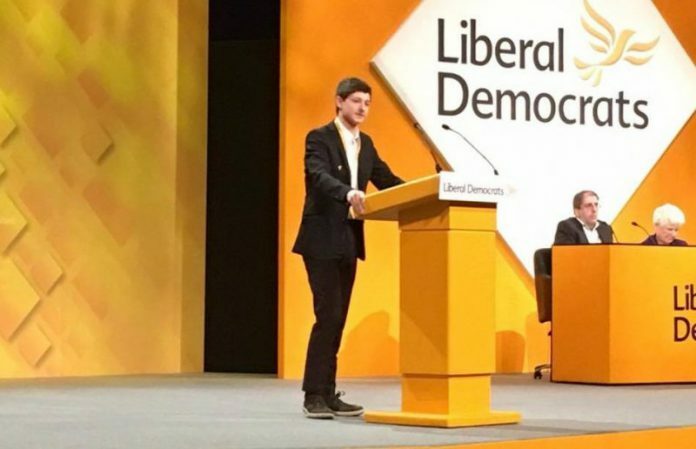 In March, a local Liberal Democrat from Rye, Dominic Buxton, gave his first ever speech at the Spring Party Conference in York during the ‘Britain and the EU’ emergency motion. Throughout the speech, Dominic emphasised the importance of guaranteeing the rights of EU citizens to live and work in the United Kingdom after Brexit. Dominic retains both British and German citizenship, so getting this point across was especially important to him, personally. He also mentioned that he was 16-years-old at the time of the EU referendum last year in June.